Your grandmother is probably already on Facebook. 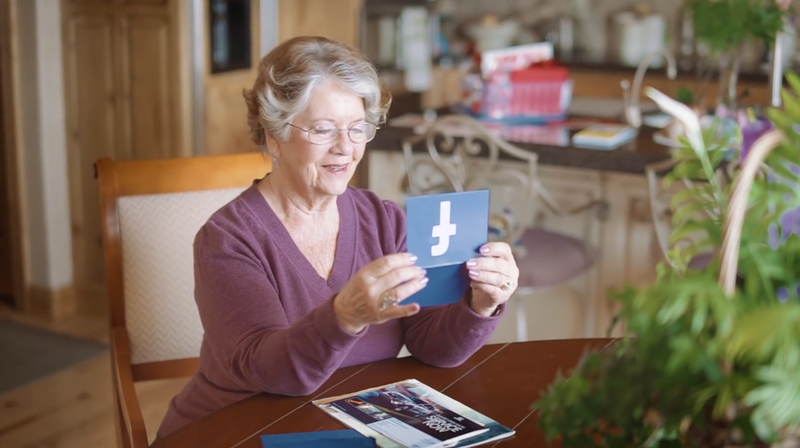 But in case she's not, she might enjoy GramGram, an amusing concept from some BYU advertising students who went rogue in a social media advocacy class. "We tried to imagine social media in a reversed skeuomorphism form and had tons of fun with it," says one of the students, Brad Hill. "Most of the class decided to pick more serious issues like depression, immigration and Islamophobia, but we were feeling a bit cheeky and wanted to do a fun campaign for something important but not super serious," Hill says. "Our 'cause' ended up advocating millennials to reach out to their grandparents and take time to carry some offline communication." Hill was inspired by an article he'd read a few years ago about how everyone loves receiving hand-written mail. "I thought that it is no different than receiving messages on social media," he says. "We combined the two and created 'Project GramGram.' It is the perfect blend with my background with digital/social media and my printmaking skills." Initially, the team looked into some mailing companies and APIs to help process the social media, thinking they'd actually bring GramGram properly to life. But that proved a bit daunting. "I even spent a week or so trying to find disappearing ink that would vanish over a few days so we could do Snapchats in the mail," says Hill. "Eventually we just opted on creating something quality for our portfolios and that could tell a great story." Hill plays the printmaker in the spot. Another member of the team, Stew Tribe, plays the main character, and his actual grandma plays the grandma. The video was shot in various locations around Provo, Utah. So, could GramGram really exist? "I don't think Project GramGram would be a great lasting product, but a short-term, 'limited-edition' run might be fun to do," says Hill. "My team and I have considered running a Kickstarter and seeing how far we could go to making it real, but to be honest, everybody is on Facebook. My grandma isn't quite on Snapchat or Peach, so that might be worth looking into."